Danny and I came to India for the first time in 2013 – this is our 4th time seeing our friends at Asia’s Hope! One of the sweetest things about returning year after year is getting to watch these sweet kiddos grow physically, emotionally, mentally, and spiritually. This year I’ve been overwhelmed with joy and gratitude because of one word that I believe has defined the stories of these kids - hope. The first time we met L, she was timid and withdrawn. Despite our best attempts, we weren’t able to get a smile or have her participate in games or dancing – she mostly stayed by herself off to the side. Over the years we have seen her come out of her shell and become a beautiful, strong, intelligent girl. Her favorite subjects are math and science, her smile lights up a room, and she has a joy that is absolutely contagious. The last time we saw little S, she was in a diaper, unable to walk, non-verbal, and pretty much unresponsive to any kind of interaction or affection. This week, she’s run to give us hugs and snuggles, worn the cutest smile, and given sweet “hi” and “bye” greetings and farewells. She has such a gentle little spirit! Little A was three when we first met her. She’s always been incredibly independent – always sweet, but never very affectionate, expressive, or verbal. She is now 7 years old, and while she is still independent as ever, she is chatty and affectionate and has such a spunky little personality. She loves to play jokes on people (like pointing and saying, “Oh look!” and then tickling you when your back’s turned). Watching her grow from a toddler into a smart, independent little girl has been an incredible honor and joy. On this trip, we also learned that L, A, and 26 other AH girls, who were once orphans with all the cards stacked against them, have been accepted into the most competitive and prestigious girl’s school in Kalimpong - they start next week! Hope. These sweet girls’ stories started out about as dark and hopeless as they come. 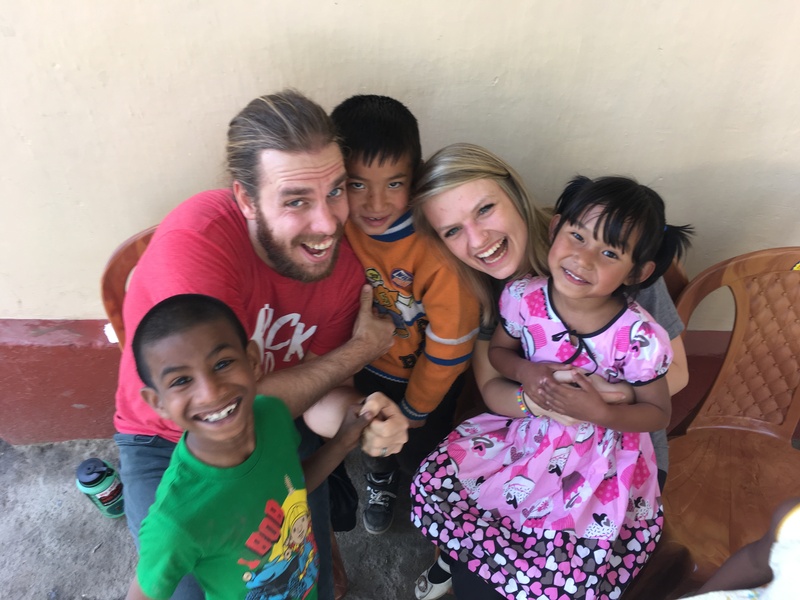 But, because of God’s love expressed through the care and love they receive through Asia’s Hope, their futures are looking to be incredibly bright. As I sit here on a layover in Germany on our way home, I am overwhelmed with thankfulness that God, through the gospel, would give hope to the least of these through Asia’s Hope. Their lives are a tangible expression of the redemption that Christ can bring and points me to the eternal hope we have in Him.